When the record is created. When it is moved to another stage. When it is changed, by whom and the reason for change. When any attachments are added or removed. 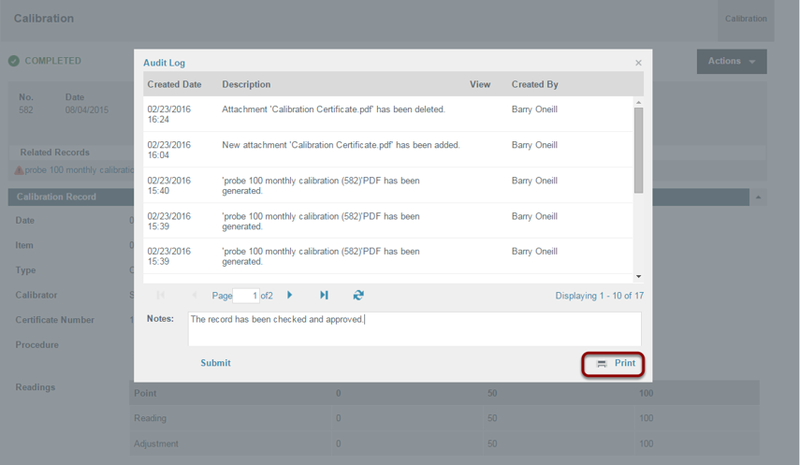 Click 'Actions > Audit Log'. Type the body of your note. Click print again to open the print-friendly page. 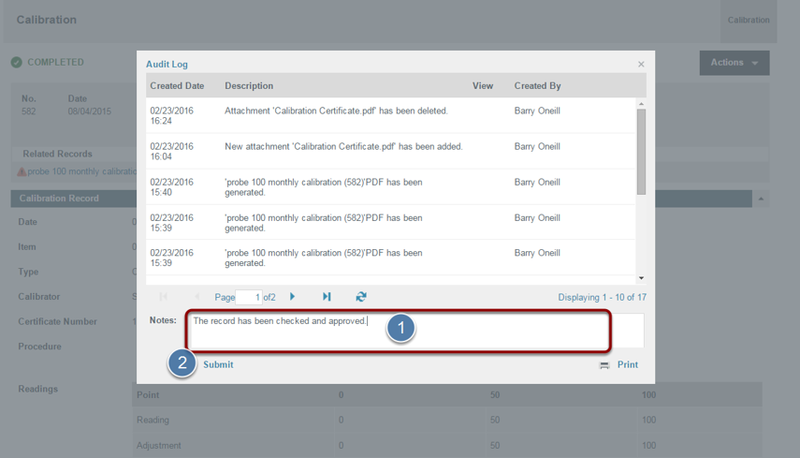 If you have FDA 21 CFR Part 11 turned on then every time you change a record you will find a PDF copy of the record, prior to change, in the audit log. Simply click on the view link beside the change to see the record right before the change was made.